Lately I have been enjoying some delicious things around the Capital, old and new. Here are my recent top three picks of what the city has to offer. Earlier this year I explored the miracle of the Hema Facial with legendary Margaret Hema (read the exclusive interview with her here). Not only can she make your skin glow in her pink room where she slathers your skin with her products, you can take the deliciousness home with you. 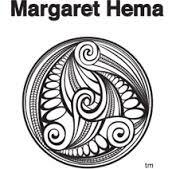 Margaret very kindly gifted me her Hema Millennium oil, Facial Cleansing Oil and Moisturiser with SPF 12. This holy trilogy of products has made me more happy than I can say, and, mixing it occasionally with some other bits and bobs, the best skin I’ve ever had. Every evening I use a hot face cloth like Margaret recommends, and then some of the facial cleaning oil. I love breathing the scent of the oil in deeply. It feels so relaxing. After, I use the facial cloth to gently exfoliate my skin. I then rinse off the excess and use a little of the millennium oil if my skin is dry. In the morning, I wash again with the facial oil and then apply the moisturiser, which sits nicely under my foundation. This line is a bit of an investment, but you completely know you are getting the real deal - the absolute best Wellington has to offer. I love juice. I especially love juices that put a spring in your step and a song in your heart. I can guarantee these delicious tasty treats from Almighty will do both. From apple and orange to carrot, orange and tumeric, these juices have something from the biggest health nut to the little ones to enjoy. The team at Almighty include an old mate of mine from when I worked at Moore Wilsons one summer, Morgan. He was telling me the other day of the awesome work that they have been up to, going into schools to teach kids about vegetables. I even was lucky enough to get a little pot one of the kids had made with seeds to grow my own basil. Now that is something to raise a glass to! Zoe Elliot from 31 Days In (31 Days In have their exhibition on at Matchbox Gallery at the moment. You should all go and check it out!) had lots of fun drinking juice, making juice puns and generally being the juicy girls we are last Saturday, while taking lots of pictures of these wonderful drinks made by wonderful humans. It's official - we juice-st love it! A Sunday is not a Sunday without Brunch in Wellington, right?! Recently Matt and I enjoyed a delicious breakfast at Floriditas. I must say, the quality of the food is as always fantastic. I enjoyed porridge with runny cream and rum soaked raisins and brown sugar. Matt had bacon and eggs on toast. Both dishes were sublime. My mum has been coming to Floriditas for years and it is such an institution you can easily forget its there. I love rediscovering old favourites and this breakfast ticked all the boxes. We even got some treats to take home! What do you think of my picks? Let me know in the comments whether you have tried any of these!